If you are considering a cosmetic dental procedure, you may be considering tooth bonding. Bonding can be a viable option to help repair the shape, color and health of your teeth. A bond is made out of a tooth colored composite resin. This material is called bonding because the resin will be bonded to your tooth. A dentist can shape the resin and apply it to make the tooth appear longer, fill in gaps or cover discoloration. The bond can also, in some cases, be used as an alternative to a filling. The process of tooth bonding is simple and quick. Your dentist will carefully select the correct color composite material to be used. This material is already available and does not need to be custom made, saving you time and money. Once the correct colored material is selected, your dentist will prepare the surface of your tooth by roughening the surface. This helps adhere the bond. When the tooth is ready, the bonding material is applied and hardened with a special light or laser. Your dentist will then shape and contour the bond as needed. Another advantage to tooth bonding is most bonding procedures can be completed in a single 30 – 90 minute visit and many patients don’t require anesthesia. Dental bonding is a cosmetic procedure that can break or become damaged. First and foremost, bonding is prone to staining. If you decide to move forward with bonding, it is important that you minimize your exposure to cigarette smoke, coffee, tea, and red wine especially in the first few days after your procedure. Avoid hard foods or candy. The composite resin that is used for bonding can also be chipped or broken. It’s simply not as strong as a natural tooth. You should take care when eating or biting down. Something as simple as chewing on a pen or a paperclip could damage your dental bonding. Acidic foods can also weaken your bonding over time. If you think you may be prone to breaking your dental bonding, you should consider something more durable. If you have dental bonding and feel any ridges or chips in your dental work, contact your dentist immediately. 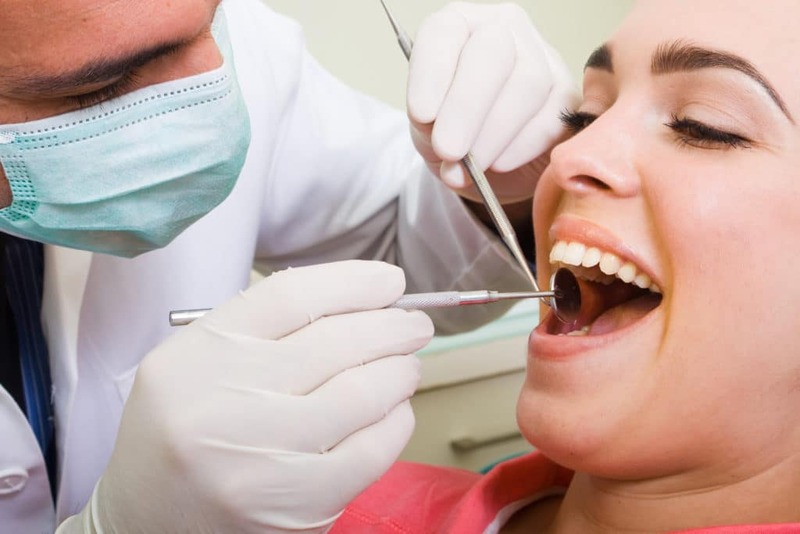 Your bonding may need to be replaced and the longer you wait to have it checked out the greater the chance of the entire bond failing and risk possible infection if the bond was used to protect a tooth root. Maintaining good oral hygiene is another important component to preserving your dental bonding. Because bonding is applied to an existing tooth, it is important to care for the tooth and ensure its health. Brushing regularly and flossing daily will help keep your teeth and gums healthy. If you are a smoker or heavy drinker, now is as good a time to quit. Nicotine and alcohol can stain your teeth and wear away at your dental bonding. Visit your dentist regularly. Your dentist can help keep your teeth strong and healthy with regular cleanings. These visits are also a good opportunity for your dental professional to review the condition of your bonding and check for any chips or cracks. If you are considering bonding, you may be considering veneers as well. Both are viable procedures that can help remedy a wide range of issues. Bonding is a premade composite. Veneers can be made of different materials but in general are made of porcelain and are custom created. The results between these two options also vary. Bonding is prone to staining over time while veneers are not. In addition, bonding tends to have a shorter lifespan while veneers last longer. However, tooth bonding is typically more affordable than veneers. Because the materials and process are minimal compared to other procedures, the costs are significantly lower. Tooth bonding can be an affordable and viable option for many patients. There are many cosmetic dentistry options available so it is important to consult with our experienced dental team to select the best fit for you. Our dental professionals work hard to understand your goals, needs, budget and oral health habits to make the best recommendation possible. If you are considering tooth bonding, contact our office today! ← Does Tooth Bonding Hurt?